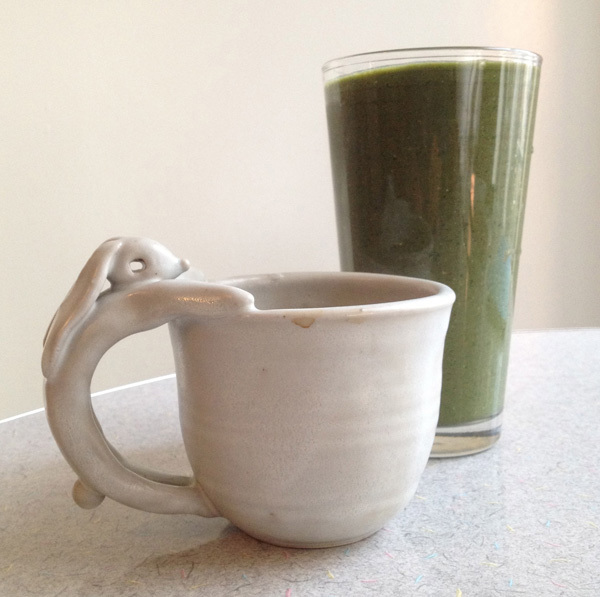 Breakfast: Coffee, Olive Shake (Kale, Banana, Raspberries, Tofu, Apple, OJ)—came out olive color. It was good, but I liked the Another Green Smoothie better. Lunch at HealthNut: Curried Scrambled Tofu, Quesadilla—very lentil quesadilla today. Curries scrambled tofu is becoming my favorite at this health food deli. 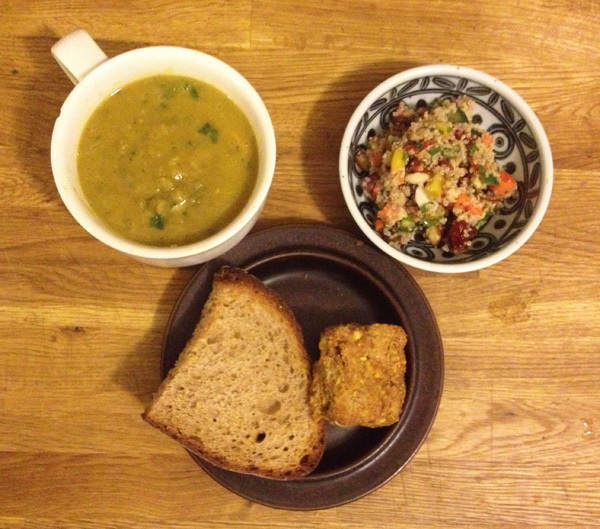 This entry was posted in January Menu and tagged Kale, Quesadilla, Split Pea Soup, toasts, Tofu by naokookabe. Bookmark the permalink.